Home About the Company Press and Media News DAKAR 2017 has started! The thirty-ninth year of the world's most prestigious competition, 2017 Dakar Rally, kicked off in Asuncion, Paraguay. Three racing rally trucks will represent our TATRA brand in the rally. 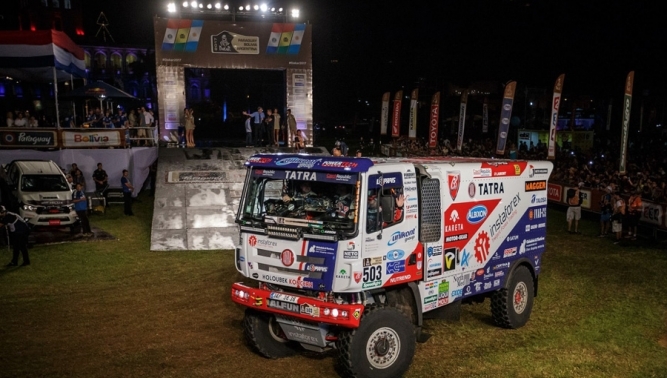 The TATRA Buggyra Racing Team set off for the track of the South-American Dakar with two special TATRA PHOENIX racing trucks and support of three vehicles of the same range, including truck variants with the Euro VI engine. This team with factory support thus represents a competitive and accompanying incarnation of heavy trucks of the key commercial range of TATRA PHOENIX, collecting one customer success after another around the world. They symbolize the new Tatra era and are the best evidence of the high level of competitiveness of the "TATRA truck design concept." With the TATRA PHOENIX G2 special racing truck (starting number 503), successfully introduced in the previous year of the famous competition, the crew composed of Aleš Loprais, Jiří Štross and Jan Tománek is participating in the race. Going with the brand new racing "tools" of the TATRA PHOENIX G3 with starting number 508 is Martin Kolomý, assisted in the passenger seats by the proven brotherly duo of Rene and David Kilians. 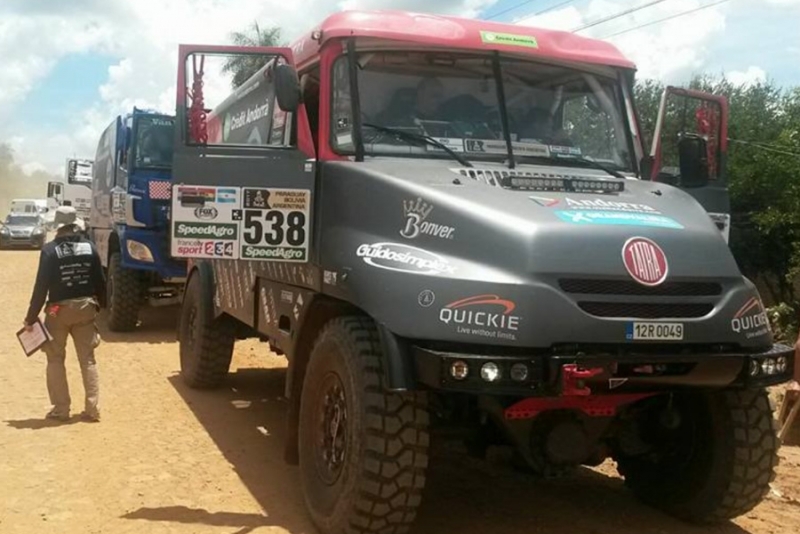 The third high-performance TATRA truck is the JAMAL BDP with red accessories of the Bonver Dakar Project team. Truck number 538 is equipped with manual control. The Andorran driver Albert Llovera, the first paraplegic to ever successfully complete the entire Dakar Rally 2016, is sitting behind the wheel. The navigator's seat is occupied by a Belgian, Charly Gotlib, and going as mechanic is Ing. Jaromir Martinec, an experienced Dakar workhorse and native of Zábřeh in Moravia. The thirty-ninth race year is routed through three countries from which Paraguay becomes the 29th country in the history of the Dakar races visited by the whole circus. The racing drivers will have to overcome nine thousand kilometres, of which a good half goes along routes where they have never competitively driven before. From the capital of Paraguay, Asuncion, racers will head to Bolivia, where five severe stages are scheduled. The race will move along Lake Titicaca to the capital city of La Paz at an altitude of 4000 m asl, where the drivers will take a rest day. The second week of the competition will see the route lead to Argentina, where the whole race ends in Buenos Aires.